The airline industry is cyclical, tightly regulated and must contend with many external factors that are outside its control, from fuel prices and September 11, 2001 to the ash cloud that stopped air traffic over Europe in 2010. To be profitable and bring value to the customer, we have to concentrate on what we can control and be very efficient. What the airlines have to work with is information about passengers: when they last flew with the airline, where they went, where they sat, whether they ordered special meals. The customer will provide more information as long as there is some value to them in doing so. 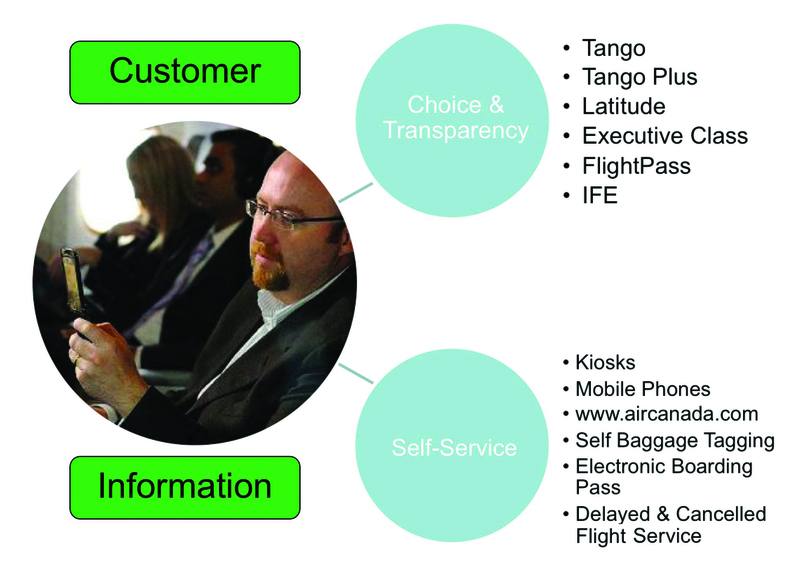 Airlines have identified a few very specific things that customers want, such as choice and transparency. Passengers were tired of wondering why they paid more than the person sitting next to them. 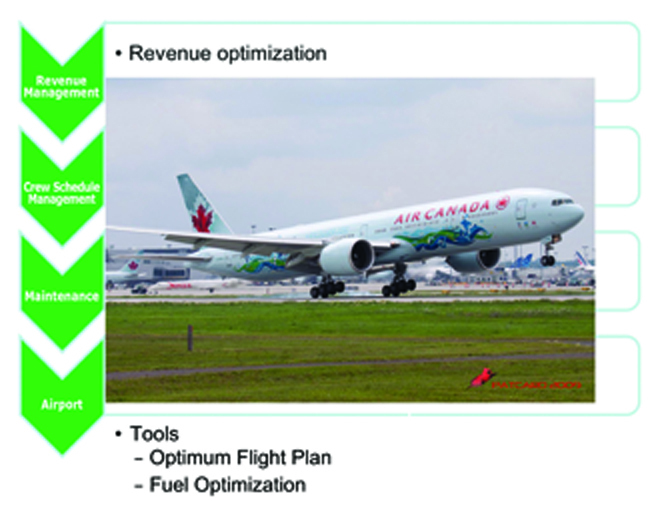 So Air Canada instituted a very transparent product offering (Figure 1). All passengers travelling between Montreal and Toronto will leave at the same time and arrive at the same time. However, they are now able to access different types of products and they know exactly what they are buying. Customers pay less for a Tango fare, but there will be penalties to change the flight time and they will not earn as many Aeroplan points. A Latitude or Executive class ticket offers full flexibility and priority boarding. 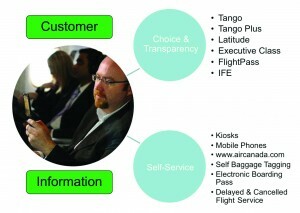 Customers also want convenience, and airlines now offer a great number of self-service products. Passengers can book their own flights on aircanada.com, either at home, at an airport kiosk or soon on their mobile phones. They can tag their own bags as well. A total of 68% of Air Canada’s domestic passengers now book their flights themselves using the Web. Tools are provided to employees to help them provide better customer service, to optimize the use of resources and maximize revenues (Figure 2). Our product is a schedule of all the flights we offer and our challenge is to optimize revenue generation and assets. Information technology provides the people in planning with tools to optimize revenue. They use this information to decide on fares and schedules, and to plan everything from the assignment of crew on board the aircraft to fleet maintenance. Information and communication systems also allow airlines to respond efficiently to changes. The customer database is a kind of electronic shared medical record. It provides information on patients and the services they have used. It must be accessible to those who provide the service. However, unless you are able to make sense of all this information and analyze trends, it will not be very useful in increasing efficiency and productivity. Ms. Lise Fournel joined Air Canada in 1979 in the Operational Research Department. She became Manager, Customer Relations, Computer and Systems Services Branch in 1983 and, over the next 10 years, worked in areas such as Strategic and Tactical Planning, and Pricing and Yield Management. 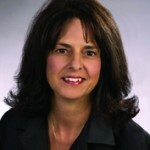 Ms. Fournel was appointed Vice President, Information Technology and CIO, then Senior Vice-President Commercial in 1999. In 2000, she became Executive Vice-President, Commercial and, in 2001, was appointed President of Destina, an Air Canada subsidiary that is responsible for all e-commerce initiatives and development of the aircanada.com and destina.ca Web sites.